P-cards can help businesses to save substantial amounts of money in processing costs. When companies adopt p-cards so that their employees can use them to make low-dollar purchases for the companies, they do not need to send requests to the procurement department or request payment through accounts payable. According to RPMG Research, the average savings per transaction in process costs is $70. Businesses that implement p-cards for their expenses need to have strong p-card policies in place. A good procurement card policy can help to prevent employee misuse and fraud. Having a strong procurement card policy in place is crucial so that a p-card program will be successful. Good p-card policies should address how the p-cards will fit within the businesses’ payment systems and what types of transactions will be targeted for payments with the p-cards. 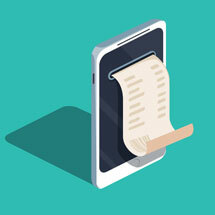 P-card policies should also address the types of transactions that are prohibited and outline what will occur if forbidden transactions are made by the employees. There also should be information about how accidental misuses of the cards will be addressed. This can help to prevent fraud from happening. P-card programs are in place across private industries and the public sector. Most organizations that have p-card programs understand the importance of having strong p-card policies. Businesses that issue p-cards to employees without implementing spending policies may suffer financial losses. Without controls, policies and procedures, employees may be tempted to use the p-cards that they are issued to make personal purchases. Policies and procedures for p-cards let employees know what your expectations are and what types of transactions are allowed and disallowed. P-card policies might vary from business to business. For example, the types of allowed purchases on the p-cards might differ depending on the type of business. For example, the spending policies at dental offices might allow employees to purchase day-to-day items such as toothbrushes, floss, toothpaste, and other small items. The spending policies could outline that other purchases would be disallowed. A factory might give p-cards to employees to use to purchase safety glasses and steel-toed boots from a specific vendor. The cards would not be allowed to be used to make other types of purchases such as gasoline or meals. The best policies and procedures will clearly outline what types of purchases are allowed and how employee misuse and abuse of the cards will be handled. Some p-cards can be used to enforce your purchasing card policies. P-cards may come with many built-in controls that allow you to pre-approve or to decline specific types of purchases. Good p-cards may allow you to restrict each card to make different types of purchases than the cards that are given to other employees. P-cards may also be restricted by the total amounts that are available on the cards. You should also be able to see what has been spent on each of the p-cards that you give to your employees in real time from your mobile device or laptop at any time. Business fraud is a pervasive problem in the U.S. and around the world. The Association of Certified Fraud Examiners reports that businesses reported average annual losses of 5 percent of their revenues in 2017. A good policy and p-card expense management can help to prevent fraud. A 50-year-old firefighter for the City of Beckley and a part-time instructor at West Virginia University, Michael Beckley perpetrated a fraud scheme with his p-card that could have been prevented with a better policy and stronger expense controls. Beckley submitted reimbursements to the city for charges that he paid with his university-issued p-card. He also created fraudulent receipts to submit for reimbursements. A better p-card policy and stronger controls could have prevented Beckley’s fraud. His card could have been turned off when he wasn’t working, and reimbursements should have been eliminated. Beckley managed to steal more than $20,000 before he was caught. P-card policies can help to streamline the accounting processes at businesses, helping to avoid missteps and to make expense tracking easier. A p-card policy can allow your company to automate invoice processing for the types of low-value purchases that are made with p-cards. P-card data can also be imported into your accounting software, helping to avoid manual entry errors. P-card policies can also eliminate reimbursements at your company. You can mandate that your employees use their p-cards instead of spending their own money, helping to prevent reimbursement fraud. After you have drafted your p-card policy, you will want to find p-cards that will allow you to implement it in an effective way. To find p-cards that can help with p-card expense management and the enforcement of purchasing card policies, you can start by researching different card issuers that offer business card solutions. When you research p-cards, it is important that you pay attention to the features that they offer. Think about how the features might help to implement the purchasing card policies at your company while also making p-card expense management simpler. Bento for Business offers extensive controls and strong expense management features with its Visa business debit cards and procurement cards. You can limit where your employees can use the cards, when they can be used, and how much they can spend. For example, if you own a dog-grooming business, you might give a groomer a p-card to use to purchase scissors, replacement razors, dog shampoo, and other needed items. If the groomer tries to purchase personal items with his card, it will be declined. The office receptionist might be given a card that she can use to purchase paper, printer ink, and other office supplies from a preferred vendor. You can set spending limits by the day for each employee and turn the cards on or off whenever you choose. Bento for Business is a company that focuses on providing leading payments solutions to businesses of all sizes. The company offers the Bento for Business Visa debit cards to companies at an affordable cost. 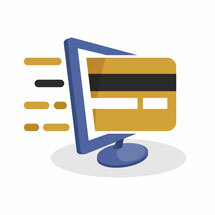 The cards are not credit cards, so you will not be charged interest or have to submit to credit checks. You can order 10 cards at an affordable monthly cost of $29, and there are no annual fees. With the cards from Bento, you can enjoy expansive expense controls and implement the spending limits that you choose on each card. 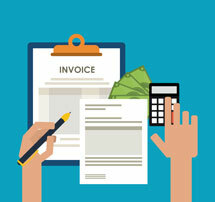 Expense tracking can be simplified, and you will be able to see the transactions that have been made in real time. Bento offers a free 60-day trial, or you can request a demo to see how the cards might work for you. Call 866.220.8455 for answers to any questions that you might have.